Log on 24 hours a day, 7 days a week. Even if your circumstances change, you can easily log in and make the changes. All the specialized tools and services to help you reach your goals and get the exact driver you need for your company. Why pay hundreds of dollars to run an advertisement on Sunday, and then wait for applications to come in on Monday and spend more time sorting through them all. 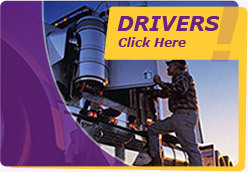 Get a short list of qualified drivers that meet your requirements NOW. Finding out you will not have a driver for tomorrow's delivery doesn't have to be a disaster. This website was designed with the sole purpose of helping transportation departments find the right driver for the job. That is all we do. 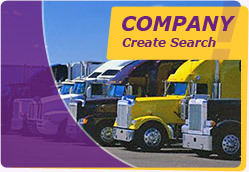 With only drivers in our custom designed database, you are sure to find someone who meets your exact requirements. You can select fresh applicants ready to go work, TODAY. When you are ready to purchase your drivers, a personalized printout of all the necessary forms is created with your company name and address and all the relevant information. There is no need to re-write or waste time, just have the applicant sign their form and verify their information. All searches you create for yourself are saved and named. In the future, should you ever require another driver, you can re-search using the same requirements or customize. This catalog gives you everything you need to customize your hiring solution. Why place an expensive advertisement, then wait for responses, sift through a large percentage of unsuitable applicants and arrange a large number of interviews when you can search a database with your exact requirements right now. You could be interviewing immediately and when you are ready to hire, all the necessary paperwork will be filled out and just waiting for the driver's signature and for you to verify their documents. What could be simpler? You guys have made things really simple. My friend told me about the web site and I took a look for my self last Saturday. Not really looking for a job I decided to fill in the form just for kick and giggles, any way it is free. It couldn't’t hurt to be listed. To my surprise I got a call a few days later. To make a long story short I’m now re-employed. My wife helped me logon one night after reading a little I decided to give it a shot and fill in the form. It only took me a few minutes to completely fill out. I was late so we went to bed. The next morning I already had a call from an employer that wanted to interview me because we match. I never thought that this could work so fast. Amazing. Just wanted to thank you for your great site. If anyone had told me how well this works I would have not believed them. I went to your site fill out the simple form, was called in for an interview and was actually working within 3 days. In the past I have spent days filling out applications, and driving many miles, wasting all kinds of time. Then waiting, waiting, and waiting for a call. Only to have the job I wanted go to someone else. This has been the best experience I’ve ever had getting a job. I’ve been working at the same place for some time now. I’ve always toyed with the idea of looking for a new job, but I just can’t find the time. Companies all want you to come in from 9 to 5 to apply, and that’s when I make my deliveries. In order for me to do that I would have to days off from work, and I just can’t afford that. So when I heard of Directory4Drivers I decided to give it a try. I could not believe how many good companies called. I’m now working at a much better place with better pay and hours. I’ve never liked spending what seemed liked days sometimes going from company to company filling out applications. In most cases never even getting a phone call telling me anything. I just have never liked it. So when I logged on to Directory4Drivers.com I filled out their form not believing it could work. All I have to say is It does work. I drove to one employer only. He knew what my experience was. And what I was looking for in pay, he also was ready to put me to work. I’ve been working there ever since. This is the way to find a job. I’m the operations manager for a large company. And I have never seen the shortage of quality truck drivers as there is today. In addition there is a great difficulty in attracting good people to fill these openings. So when I heard of Directory4Drivers.Com I instantly decided to give it a shot. In today’s market you’ve got to explore any new avenues. To my amazement not only was it fast. I found exactly what I was looking for in a matter of minutes. I cut my hiring time in half, with a better candidate then if I would have placed an ad in the paper. There was a significant savings to boot. Saving time is the name of the game in our industry. I like to fact that I can return to your web page and use exactly the same search I used the last time. I’ve had a lot of success with Directory4Drivers.com and I will continue coming back. Finally… a service that I don’t have wait for Sunday’s paper to appear before I get applicants in the door. I now only talk to candidates that fit the criteria we are looking for. I like getting the short list now. It's great.